#FiveFourTen #skindetoxifyingclaymask The older I get, the more I worry about staying healthy and holding onto youth as long as I can. I'm really an active woman , but I don't "workout" probably like I should. I received a Thick Yoga Strap recently to try out. 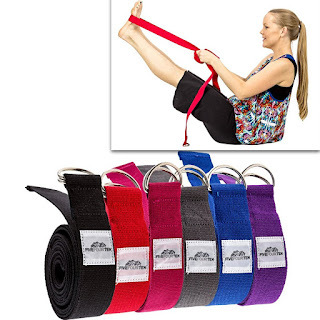 Let me tell you this yoga strap will help you stretch muscles you didn't realize you had. Proper stretching helps to improve your flexibility and strength.That's the key to youth is staying active and exercise. This strap makes it easy to get a good stretch in right at home. You can use it just about anywhere, from your chair or from the floor. I feel much less pain in my legs and hips after using this strap. 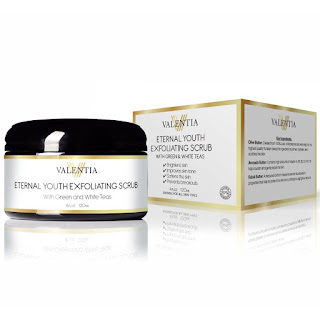 I also received from Valentia, the Skin Detoxifying Clay Mask & Eternal Youth Exfoliating Scrub. Eternal Youth Exfoliating Scrub contains Vitamin A, B1,B2, D, and E. This combination leaves your skin looking fresh, clean, and glowing. It tightens your skin and makes it looks younger. 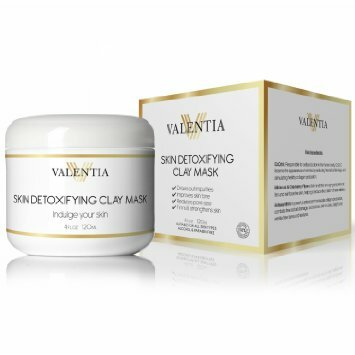 The Skin Detoxifying Clay Mask should be applied to clean skin and let it sit for 15-20 minutes, then wipe off with a warm, wet washcloth. Your skin looks healthy, youthful and fresh. I love these 2 products together!